How do you bring an historic industrial site to life for visitors? The significance of the site may be attributed to early industrial history and the evolution of the canal industry throughout the nineteenth and early twentieth century. 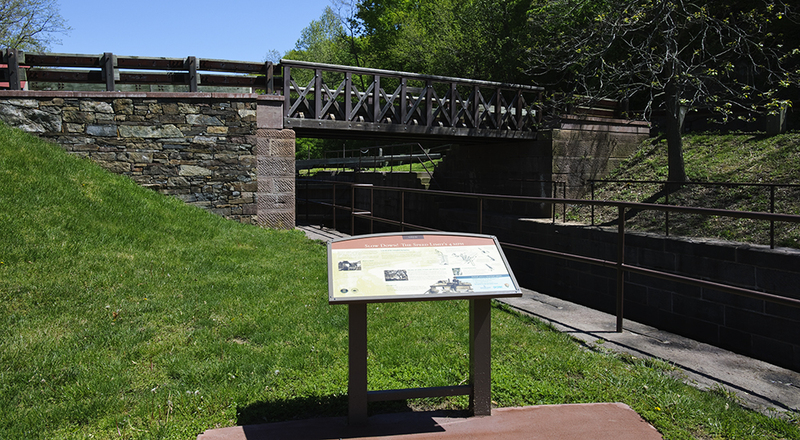 Looking to the past, present, and future, the Interpretive Plan explores the site’s role in industrial history, as well as the site’s natural history and recreational opportunities while encouraging stewardship of the Reach’s unique resources. 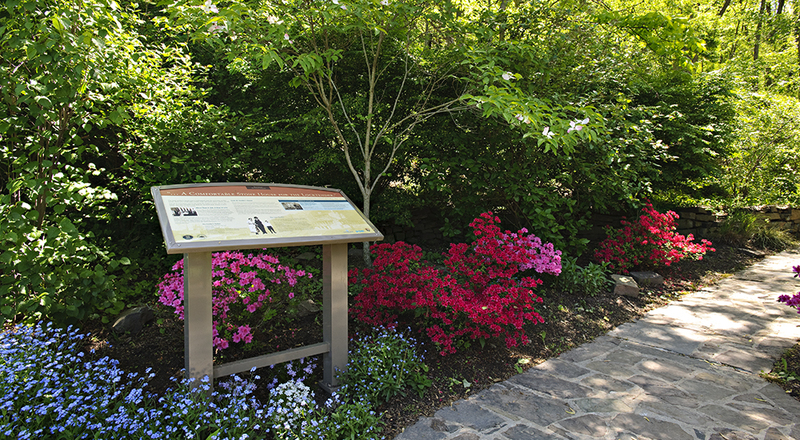 Site-specific history programs, historic and natural trail journeys, interpretive signage, exterior exhibit stations, interior exhibits, live entertainment, and recreational programs comprise the detailed plan. 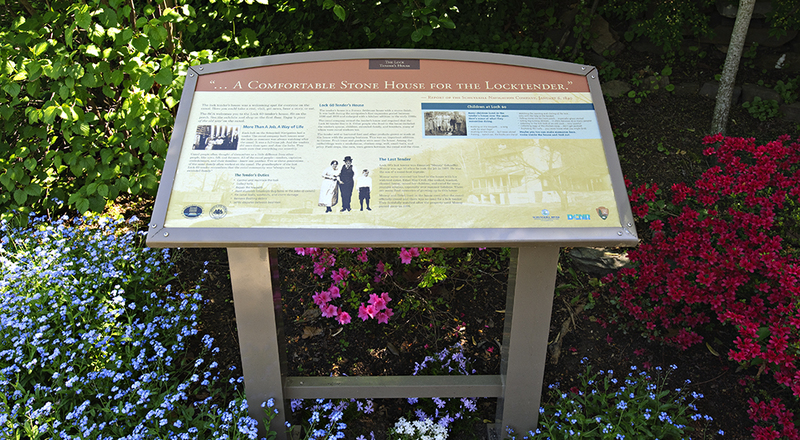 The first step in implementing the plan entailed a series of interpretive signs designed to complement the historic character of the site and allow visitors to obtain information quickly and easily. 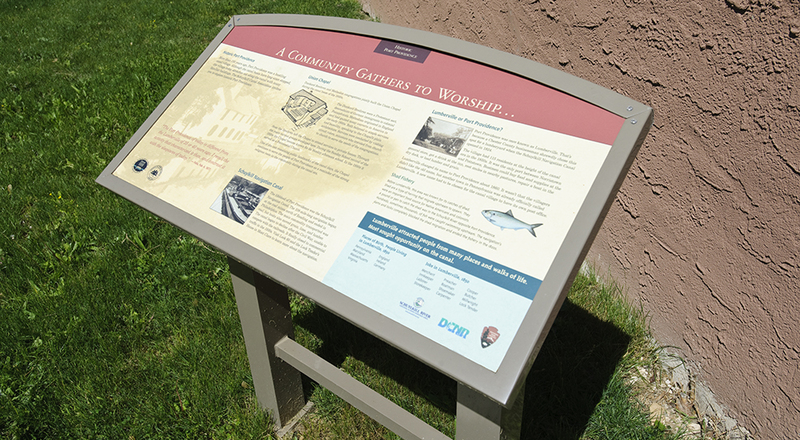 The signs were fabricated using high pressure laminate panels that are strong and durable, ideal for outdoor use.